In the captivating start to a new, darkly lyrical fantasy series for readers of Leigh Bardugo and Sabaa Tahir, Tea can raise the dead, but resurrection comes at a price... Let me be clear: I never intended to raise my brother from his grave, though he may claim otherwise. If there's anything I've learned from him in the years since, it's that the dead hide truths as well as the living. When Tea accidentally resurrects her brother from the dead, she learns she is different from the other witches in her family. Her gift for necromancy means that she's a bone witch, a title that makes her feared and ostracized by her community. But Tea finds solace and guidance with an older, wiser bone witch, who takes Tea and her brother to another land for training. In her new home, Tea puts all her energy into becoming an asha--one who can wield elemental magic. But dark forces are approaching quickly, and in the face of danger, Tea will have to overcome her obstacles...and make a powerful choice. Memoirs of a Geisha meets The Name of the Wind in this brilliant new fantasy series by Rin Chupeco! “The Bone Witch” is a satisfying fantasy filled with well-researched mythology and folklore that is exactly what I needed to read right now. Tea finds out she is a Bone Witch when she accidentally raises her brother from the dead at his funeral. As you would imagine, that was disturbing to anyone witnessing it. The rest of the book is split between her story from that point and on into her training as an asha (witch) and the present, in which she is in a vastly different situation recounting it all to an exiled bard from another kingdom. It doesn’t create confusion, as the story comprises the main chapters and the present is in italics between them. My favorite part is that much of the story reaches a conclusion, while some remains a mystery, and other parts have foreshadowing you can only guess at what it means. And the ending. Oh man. The ending. If you love mythology, folklore, revenants, kickass girls who turn into kickass women, diverse characters, just a touch of romance, all-around creepy stuff, and Tom Hiddleston (I’ll leave it to you to figure that one out), then “The Bone Witch” is for you. Highly recommended! Cammie O'Reilly is the warden's daughter, living in an apartment above the entrance to the Hancock County Prison. But she's also living in a prison of grief and anger about the mother who died saving her from harm when she was just a baby. And prison has made her mad. This girl's nickname is Cannonball. In the summer of 1959, as twelve turns to thirteen, everything is in flux. Cammie's best friend is discovering lipstick and American Bandstand d killer is caught and brought to her prison. And the only mother figures in her life include a flamboyant shoplifter named Boo Boo and a sullen reformed arsonist of a housekeeper. All will play a role in Cammie's coming-of-age. But one in particular will make a staggering sacrifice to ensure that Cammie breaks free from her past. “The Warden’s Daughter” is one of the best historical literary young-adult novels I have ever read. I couldn’t put it down. There are some flaws in the novel, with a child protagonist who is extremely limited in her view of others in the world. However, these flaws are intentional and acknowledged by the adult narrator saying they come from memory and may not even be in the correct order. I love that the big stories of the day were related only as to how they affected Cammie. Isn’t that how most of our childhood memories are? Actual awareness about the meaning of that summer came with age. The entire idea of a child living inside of a prison is fascinating. During the time period it wasn’t all that uncommon. What is uncommon is her progressive father. Once again, something only seen in hindsight. The story is a slow-burn that is worth the time and commitment. I think upper middle-graders through adults will enjoy “The Warden’s Daughter” if they have any interest in history or unique childhood situations. Highly recommended! I’ll give it to you upfront: I did not like “Life in a Fishbowl.” I did appreciate the writing and the use of some unique points-of-view. There were a lot of voices in the book, with many being in the same chapter. It became confusing at points, but the voices were distinct and well-written. I found the parts written about the thoughts of the tumor itself to be unique and engaging. In fact, those were the only sections that genuinely made me feel like I was reading a book about cancer that handled the subject well. The message of how intrusive reality television can be was a good one, but also over-extended the plot. A few less points-of-view in the tv aspect would have made it flow much better. One of my biggest pet peeves is the use of an animal for emotional blackmail. There is an animal death, and it was part of an unnecessary subplot that crowded the tv aspect that I mentioned up above. I feel like a strong plot can evoke emotion without needing to add in something extra. The writing is good, but the rest of “Life in a Fishbowl” was disappointing. It had so much potential. I recommend giving this one a pass. I’m not sure saying I loved “A List of Cages” is appropriate because of the subject matter, but I can say I loved Julian and Adam. This book broke my heart and some parts were very difficult to read. Yet it was also a good reminder that humanity still exists in this world, even in the darkest of places. I don’t want to spoil how the plot develops, but I will say that the bond between the characters is beautiful. Julian’s ability to see when others are trapped in their own cages is remarkable. We don’t get to see how their stories play out, but that is true to life. We’re all on our own journey. My only problem with the book is that at times the characters felt just a touch too naive in their decision-making, particularly Adam. It doesn’t take away from the plot or the writing. It’s a minor flaw in an otherwise exceptional book. 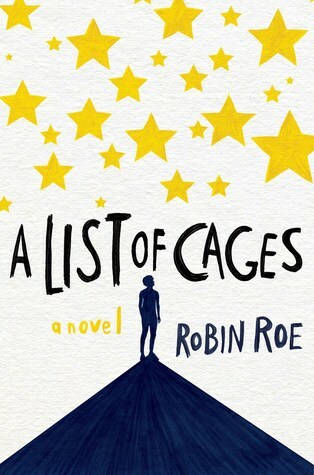 As a warning, there is abuse in “A List of Cages” and it is graphic. If this is a trigger for you, I would recommend you give it a pass. Otherwise, I recommend it for everyone high-school aged and up. It’s simply beautiful. Hawthorn wasn't trying to insert herself into a missing person's investigation. Or maybe she was. But that's only because Lizzie Lovett's disappearance is the one fascinating mystery their sleepy town has ever had. Bad things don't happen to popular girls like Lizzie Lovett, and Hawthorn is convinced she'll turn up at any moment-which means the time for speculation is now. So Hawthorn comes up with her own theory for Lizzie's disappearance. A theory way too absurd to take seriously...at first. The more Hawthorn talks, the more she believes. And what better way to collect evidence than to immerse herself in Lizzie's life? Like getting a job at the diner where Lizzie worked and hanging out with Lizzie's boyfriend. After all, it's not as if he killed her-or did he? Told with a unique voice that is both hilarious and heart-wrenching, Hawthorn's quest for proof may uncover the greatest truth is within herself. I wish I could say I liked “The Hundred Lies of Lizzie Lovett,” but that would be telling my own lie. There were a few secondary characters I would like to know more about, but unfortunately their potential was wasted. Instead we have to suffer through one of the most annoying and least self-aware young adult characters I have ever encountered. What is supposed to be quirky is actually creepy, and her love interest is someone who did nothing but enable her. Not to mention the fact that he is someone you would not be surprised to find on an episode of Dateline. Those characters took me out of any interest I tried to develop in the plot. I appear to be in the minority with “The Hundred Lies of Lizzie Lovett.” If it sounds interesting to you, then by all means give it a read. Libby Carmichael has just met her Soulmate. It's just too bad he's behind bars. When you only see the world in black and white until you meet yours, it's pretty easy to figure out when you've found your Soulmate. What Libby can't figure out is why fate, destiny, or the powers that be have decided that Andrew McCormack is her one, true match. Libby is smart, organized, and always has a plan for what's coming next. So when she sees Andrew for the first time and her world is instantly filled with color, she's thrown for a loop. Namely because he's in a dingy grey jumpsuit. And handcuffs. And being booked into a juvenile detention facility. Surely a boy who's been convicted of a headline-making, violent crime isn't who she's meant to be with. There's no way she belongs with someone like that...right? 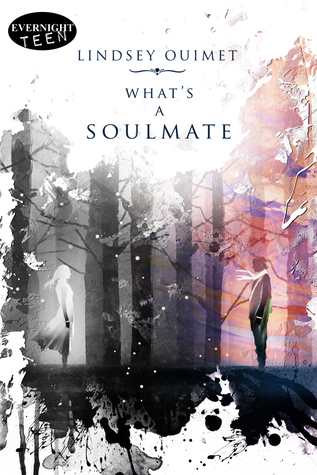 “What’s A Soulmate?” is a contemporary romance with one of the most unique premises I have ever read in the genre. Unfortunately for the main character, Libby, she meets Andrew at possibly the worst time in the worst place imaginable. Her meeting her soulmate in juvenile detention presents for a plot full of challenges. The dialogue is snappy and there is a lot of humor mixed in with the seriousness of the situation. I recommend “What’s a Soulmate” for anyone looking for a unique young adult romance that is steamy without being too over-the-top. I enjoyed it a lot and would love to get something from Andrew’s point-of-view sometime.